Earlier this year I took a sculpture class. The above head took me five months (and it’s not even nearly finished). But that was never my intention; my goal was to learn to see through the eye of a sculptor. I wanted a new perspective while evaluating African art, and I must say this course was a very enriching experience. I would advice it to everybody. For example, the feeling of actually trying to shape an eye, with all its difficulties and possibilities, stimulates you to look with a whole different perspective to all the following eyes you encounter. I now also understand the reason why collections formed by sculptors are always so strong; they easily spot the plastic qualities of African carvings. They recognize the struggle of a fellow artist of balancing the volumes and his pursuit to create a powerful sculpture. More than ever, the inventiveness and talent of so many anonymous African artists succeeds in impressing me. There’s a reason why they are often called ‘masters’. This entry was posted in Opinions on October 31, 2013 by admin. Meticulously scanning the online database of the Quai Branly Museum, Laurent Granier daily presents multiple examples from their holdings on his twitter account @perlesduquai. Only objects from the reserves that are not on view are selected – with 267.417 items in the collection enough for a lifetime of twitter fun. 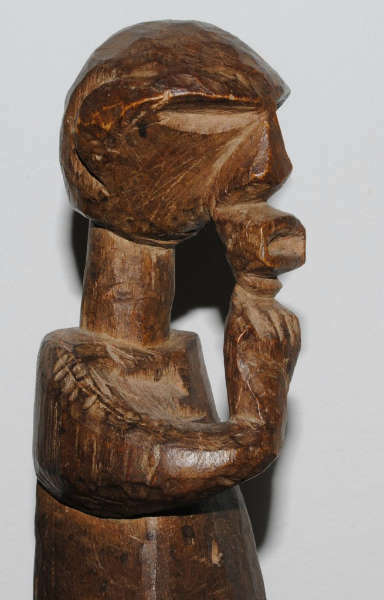 Bembe figure. Ex Collection Kahnweiler; donated by Leiris. 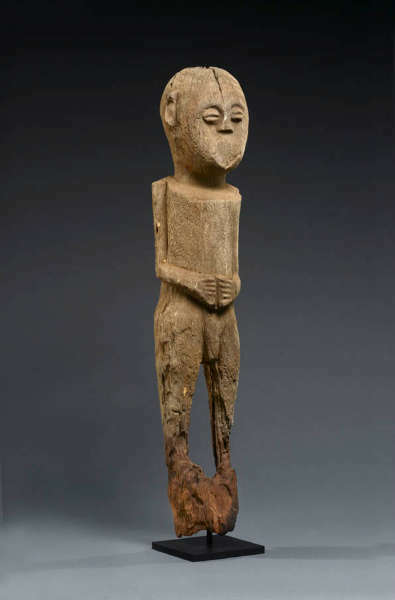 Image courtesy of the Quai Branly Museum (#71.1990.171.43). This entry was posted in Museums, News, Research on October 31, 2013 by admin. 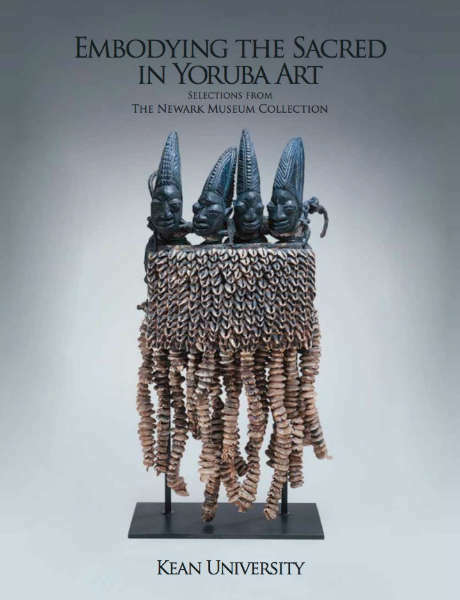 Another freely available exhibition catalogue, Embodying the Sacred in Yoruba Art – selections from the Newark Museum Collection is a 44-page book which accompanied the exhibition with the same name at Kean University in 2012. Besides 22 objects, it contains a very interesting essay by Dr. Babatunde Lawal, one of the foremost experts on Yoruba art. 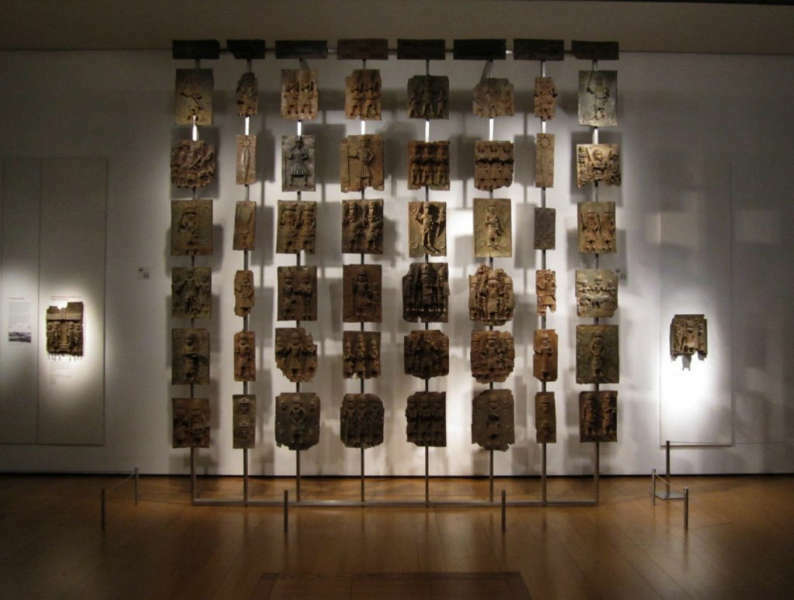 This exhibition was based on the show Embodying the Sacred in Yoruba Art: Featuring the Bernard and Patricia Wagner Collection, which was jointly organized by the High Museum of Art in Atlanta, Georgia, and The Newark Museum in Newark, New Jersey, in 2007 and co-curated by Carol Thompson and Christa Clarke. Download the catalogue here (1,4 MB). This entry was posted in Publications and tagged Yoruba on October 29, 2013 by admin. The ibori (sometimes ipori or iponri) symbolizes the ‘inner head’, that is the individual’s personal destiny (ori means head). According to the Yoruba version of the creation, before a human being is born Obatala models his or her body from clay and the sky god Olorun blows vital force into it. The heads however are made by Ajala, the potter from orun (‘the other world’). Everybody can choose his own ‘inner head’. Ajala is a careless potter, and sometimes the heads are underbaked or overbaked. An individual who unwittingly chooses a badly made ‘inner head’ starts life with a serious and lasting handicap. The quality of the chosen head determines a person’s destiny during his life on earth. The ipori is the symbol of a person’s spiritual essence and individuality. It consists of a conical leather pouch into which the Ifa priest pours dry sand on which he has previously imprinted the Ifa formula for ori. Additionally, the container is packed with ingredients associated with one’s ancestors, gods, and the restrictions or taboos (ewo) one must abide by. It thus contains everything essential to a person’s life. After special prayers and songs, the pouch is sewn up and sealed; it is then decorated with rows of caurie shells. Altogether it forms an abstract human form with a stylized head or conical form to convey something of the inner or spiritual life of individuals. 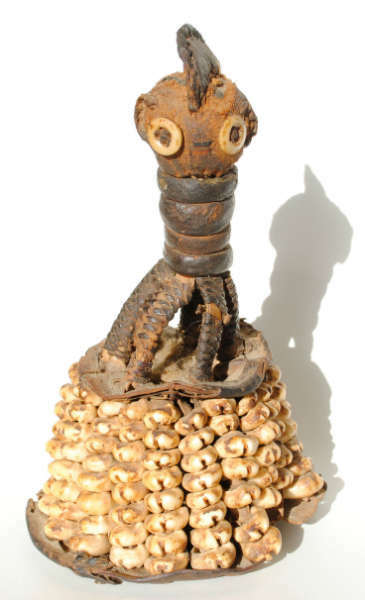 The package of the above example is surmounted by a stylized human head with the tall-crested agogo hairstyle, button eyes and small round ears. The ibori are kept in an ile ori or ‘house of the head’. Such an ile ori is a container with a lid, made of cloth and leather and covered with caurie shells. 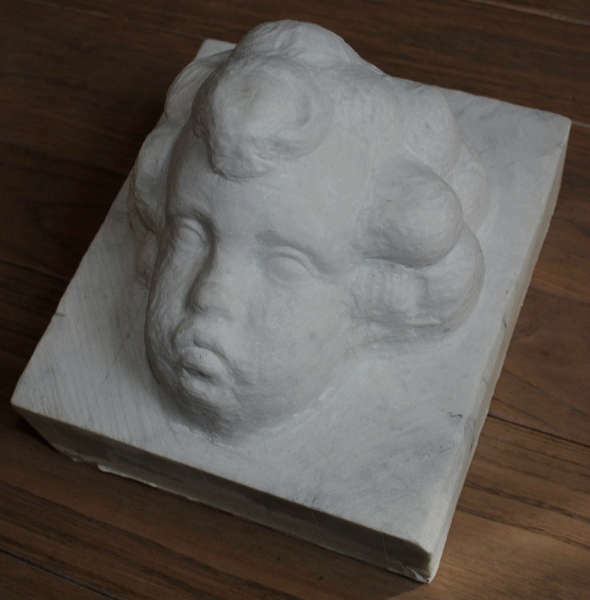 The Amsterdam auction house De Zwaan is offering three ibori in their next sale on 4 November – see below. More info here (with a very friendly estimate of € 150 – 300, and selling for € 260). Three Yoruba ibori – heights 13, 13,5 & 12 cm. Image courtesy of De Zwaan. This entry was posted in Objects and tagged Yoruba on October 28, 2013 by admin. This beautifully illustrated book, written by Dr. Roslyn Adele Walker, showcasing 110 objects from the Dallas Museum of Art’s African collection is available for free as a pdf here (22,6 MB). 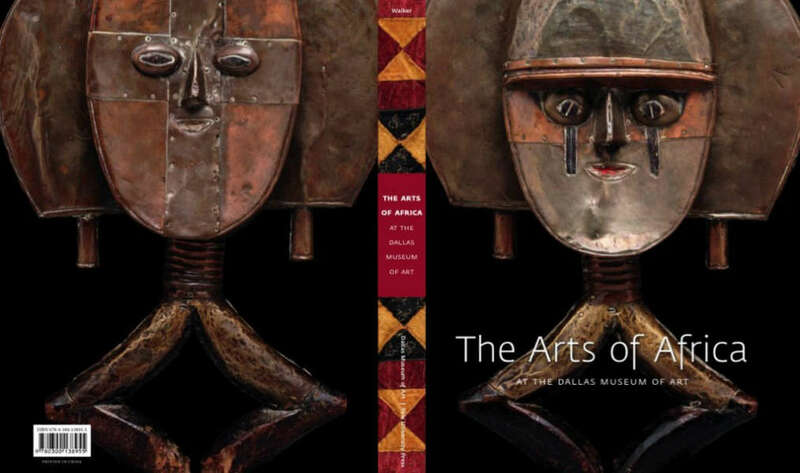 The Dallas Museum of Art will present a rich and comprehensive look at African visual culture through The Arts of Africa, the first catalogue dedicated to exploring the Museum’s collection of nearly two thousand objects—acclaimed as one of the top five of its kind in the United States. 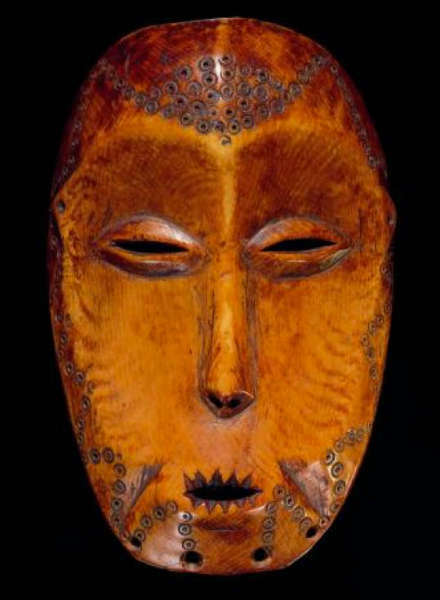 Commemorating the 40th anniversary of the collection, which began with a gift of 224 Congolese objects from DMA benefactors Eugene and Margaret McDermott, the catalogue draws from both historical sources and contemporary research to examine over one hundred figures, masks, and other works of art representing fifty-two cultures, from Morocco to South Africa. Both visually and intellectually compelling, The Arts of Africa celebrates the striking beauty and stylistic diversity of African art, as well as its social and historic significance. This entry was posted in Museums, Publications on October 27, 2013 by admin. 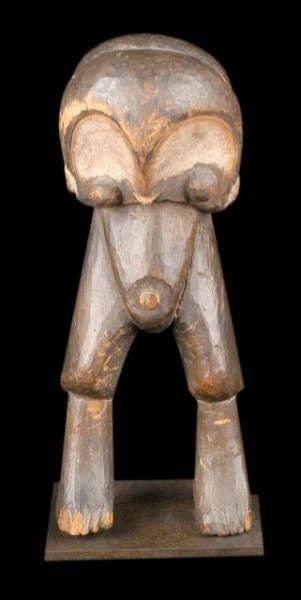 Kudio-bocchio figure from the Fon. Height 67 cm. The last weekend of November and the first weekend of December, 14 antiques and 9 contemporary galleries from Antwerp are organising Art-A for the third time. The event is accompanied by a catalogue – coordinated by yours truly – which you can browse here. Amma Tribal Art is the only gallery exhibiting African art, but if you need an excuse to visit Antwerp, this might be it. This entry was posted in Fairs, News on October 26, 2013 by admin. Image courtesy of Galerie Schoffel-Valluet. 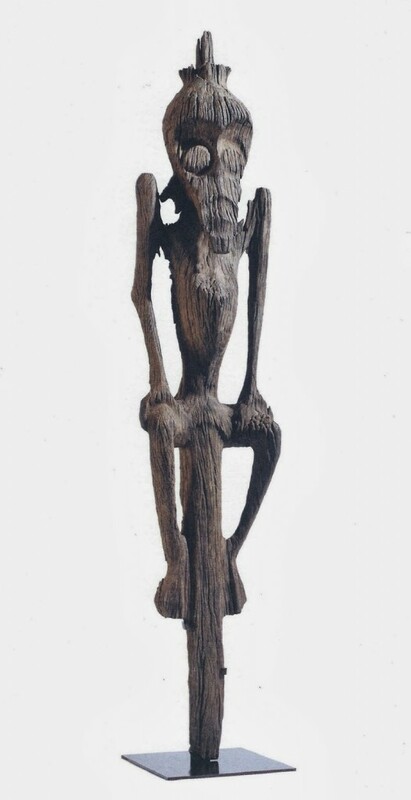 Though not about African art, I just encountered a very informative analysis of the negative gossip surrounding the above Borneo sculpture during the last Parcours des Mondes in Paris. Read it here on the Mark Johnson’s Tribal Beat blog. Prior to the opening of the 2013 Parcours des Mondes tribal art fair in Paris, it appeared a major controversy was brewing behind the scenes. Word was spreading fast and furious that a wood sculpture from Borneo Island offered by an important gallery as their key piece during the fair, was a forgery. And so the tale begins.. a must-read even if you don’t really care about art from Borneo – the author makes some very good points about the trade in general. This entry was posted in News, Opinions on October 25, 2013 by admin. Image: BC. Left dagger courtesy of the Grace Collection of African Art. 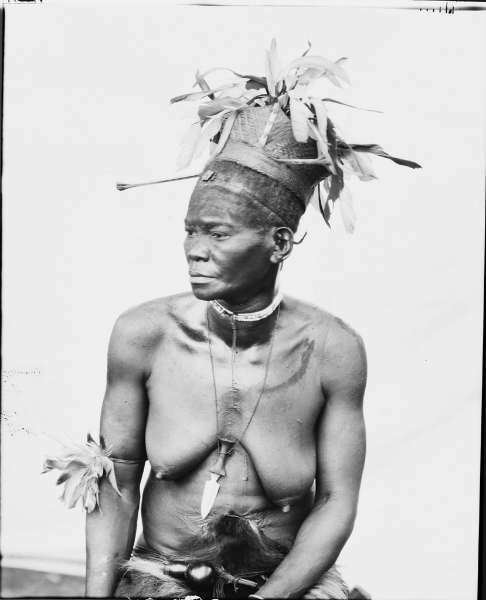 Mangbetu daggers (sape or sapi) were used by both men and women with or without sheath. Those without a scabbard were generally kept near the house and used by women though men may have worn them in the belt. As a rule men carried these knives in nearly sewn scabbards of elephant hair, pigskin, or antelope-skin. The men wore these knives on their back hanging down from their belt, the handle downward, the point upward. The knife was retained in his scabbard through the pressure created by the tin liners of the sheath. Herbert Lang’s field notes confirm that in his time many of these daggers were created to demonstrate wealth and status. All important men wore these beautifully worked knives, that were both utilitarian items and prestigious ornaments. 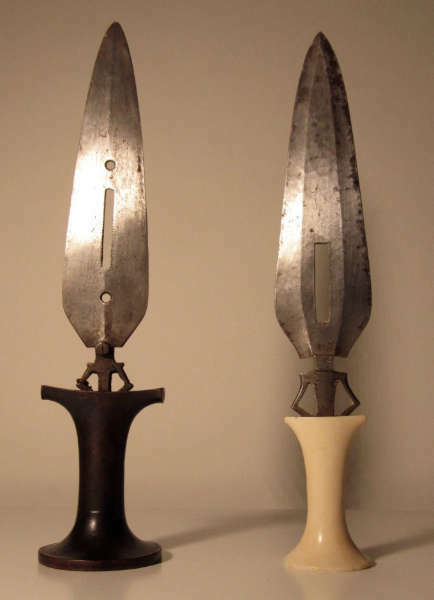 Above two knives (one with a wooden handle, one with an ivory handle), temporarily reunited for this picture, belonging to a rare type with the lower part of the blade in the form of an abstract anthropomorphic figure. This entry was posted in Objects and tagged Mangbetu on October 22, 2013 by admin. The LA Times just reported that collectors Jay and Deborah Last have given the Fowler Museum at UCLA 92 wood and ivory figures, masks, and implements, all from the Lega (D.R. Congo). The gift, said to be worth $14 million, is in honor of the Fowler’s 50th anniversary. The Fowler organized a show of Lega art around the Last collection in 2001, and a version of that exhibition will appear at the Musée du Quai Branly, Paris, this fall – read more about both here. $ 14 million for 92 pieces, that’s $ 150K on average for each piece – or twelve 1 million dollar pieces together with eighty $ 25K objects – either way it does seem a bit exagerated, though it is definitely a major acquisition for the Fowler museum. 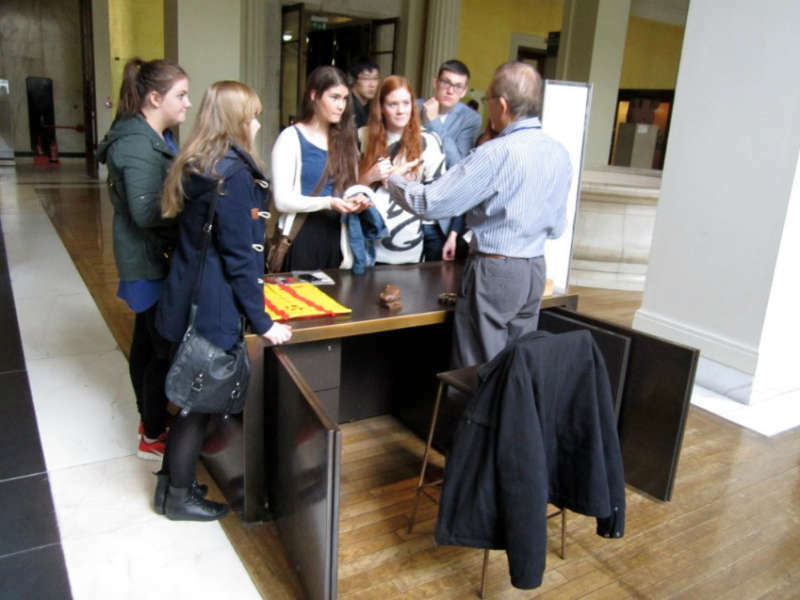 This entry was posted in Museums, News and tagged Lega on October 22, 2013 by admin.